The Mariners head to Chicago after a split with the Oakland A’s, and in Chicago they’ll find a team that has spent the better part of a decade trying to hang on, and repel back up the backside of their win curve. Since winning the World Series in 2005 the team resurrected the career of Alex Rios, who was their best position player last year, but are relying heavily on the aged Paul Konerko and Adam Dunn to drive their offense. Tyler Flowers, once a top prospect for the White Sox has been relatively disappointing this far into his career. He’s 27 years old and has seen a huge strikeout rate sap productivity out of what is an otherwise potent bat. Flowers possesses a .200 career ISO and a walk rate north of 10 percent, and he’s also been hit by nine pitches in about a half-season’s work. Flowers is one of the only players in baseball that is hitting better than Mike Morse (446 wRC+ compared to 348). Obviously it’s early and fine. The Mariners, for their part, enter a much better run environment than Oakland, where they just split a series with the Athletics. They’ll see two pitchers that have less than 200 career innings pitched, and then they’ll face Chris Sale. 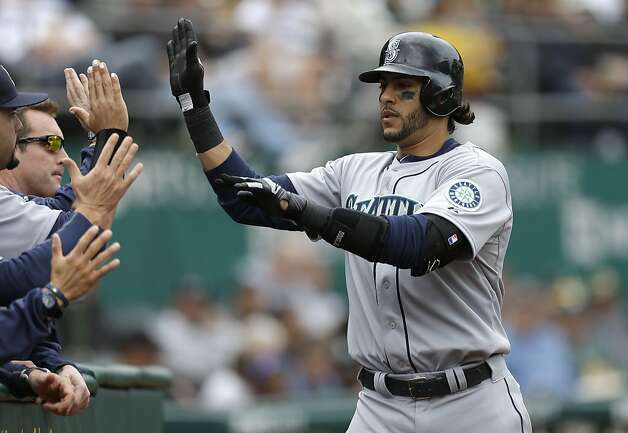 Sale figures to be a tough matchup for the Mariners as he’s a lefty that can miss bats. They’re arguably better equipped for thsoe kinds of pitches thsi year, though, with two switch-hitting first basemen in Kendrys Morales and Justin Smoak and the ability to play Franklin Gutierrez and Jason Bay alongside Morse in the outfield.